Now I had never had Welsh cakes before, so very interested to try them. I would describe them as having a scone like texture, slightly sweet with a spice taste , reminding me a little of Easter treats like hot cross buns and Easter biscuits. Lucky for us these are available all year round. 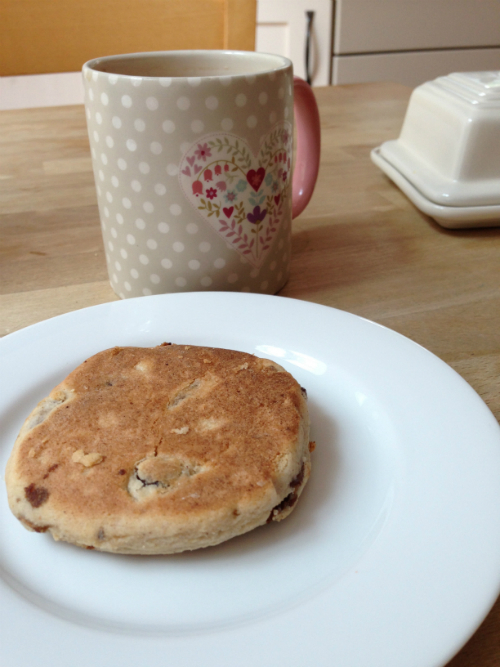 The Welsh cakes tastes very homemade, in a good way! Not mass produced. I did find them quite crumbly, but it wouldn’t put me off buying them again. 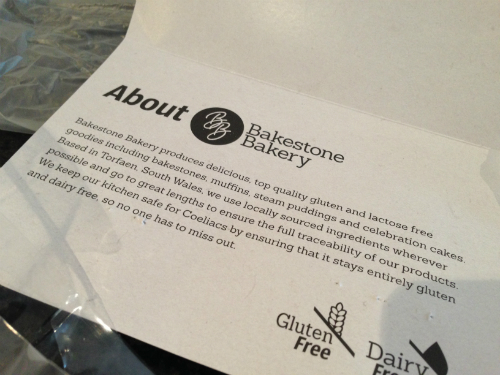 As far as I know this could be a gluten free and lactose free first!? 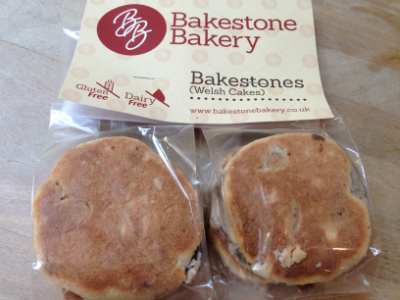 I don’t know of any other gluten free and lactose free welsh cakes on the market. 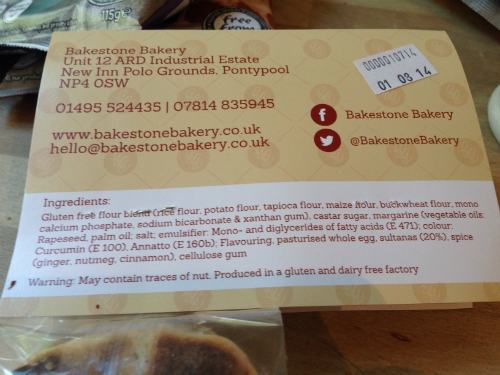 Bakestone Bakery based in Pontypool Wales also produce coffee and carrot and walnut cakes.